Well now that the pickup has been repaired, we’re ready to put this baby back together. Before fitting the tremolo, I wanted to mount a ground wire to it, but I wasn't too happy about connecting it to the base, since I wasn't sure how the signal would transfer from the main block/drum. 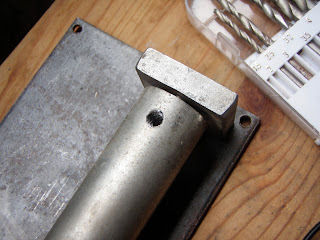 After thinking about several options, I noticed that the threaded hole that holds the arm lever on the top goes all the way through the drum (although it's not actually threaded all the way through). Apologies in advance for the crap video quality/sound quality/accent/playing/background mess. Well that's the end of the Hofner Colorama restoration. 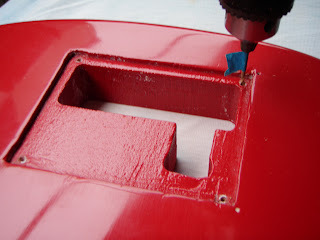 If you happened to stumble upon this post and haven't seen the whole process, feel free to click on part one here: http://diystrat.blogspot.com/2011/09/hofner-colorama-ii-restoration-project.html, and follow the whole story by clicking on "Newer Post" when you reach the bottom of each part. You asked for comments..? Here's comments... We're bordering on the 'brilliant' here. It would seem (I'm not certain, as I've not read all the other blogs here...) that you have at least some experience in guitar work. Even allowing for that, the quality and depth of restoration shown here is astounding. The attention to detail is, imho, far beyond the call of duty. I especially liked the restoring of wood for the tremelo holes, and the neat way of removing broken screws. P/up winding..? A piece of cake, apparently..? No, just careful preparation and intelligent use of (slim..?) resources. A wonderful blog. 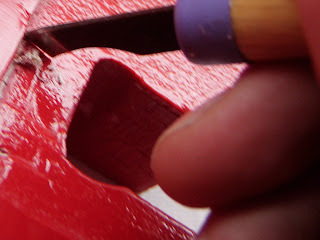 Many great tips gleaned for my own projects. I wish I had your patience dealing with lacquer! Wow!! What can I say? You have approached this project with, intelligence,care,patience and perseverance to produce great results. A fascinating and inspiring blog throughout. Well done I hope you enjoy the fruits of your labour. I wish you great success in any future projects. You have inspired me. You deserve an award or something for this. Brilliant work. Thanks all for the lovely comments. Very much appreciated. 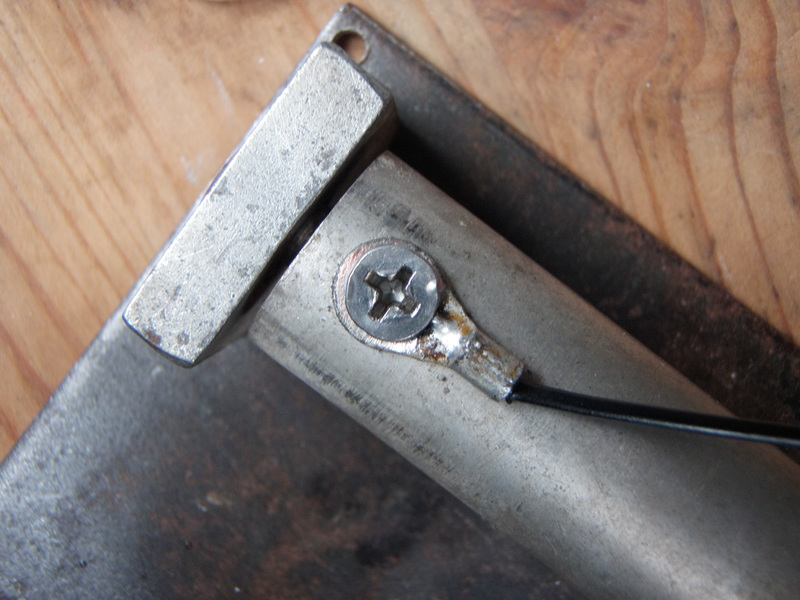 I just stumbled upon your blog and I read the whole Hofner restoration project in one sitting. As everyone else has said, astounding work. The attention to detail, ingenuity, and the sheer patience involved are really inspiring. You've helped rekindle an old dream of mine - to get into guitar restoration in a big way - so thank you very much. It's a pity you don't get more comments on this blog, because it really is deserving of so much more. I look forward to reading the rest of your blog and future posts! Hi Jules, and thank you. Tell them irishstu sent you. You can also contact me over there by PM if there's anything specific you need, like more photos of the wiring, etc. 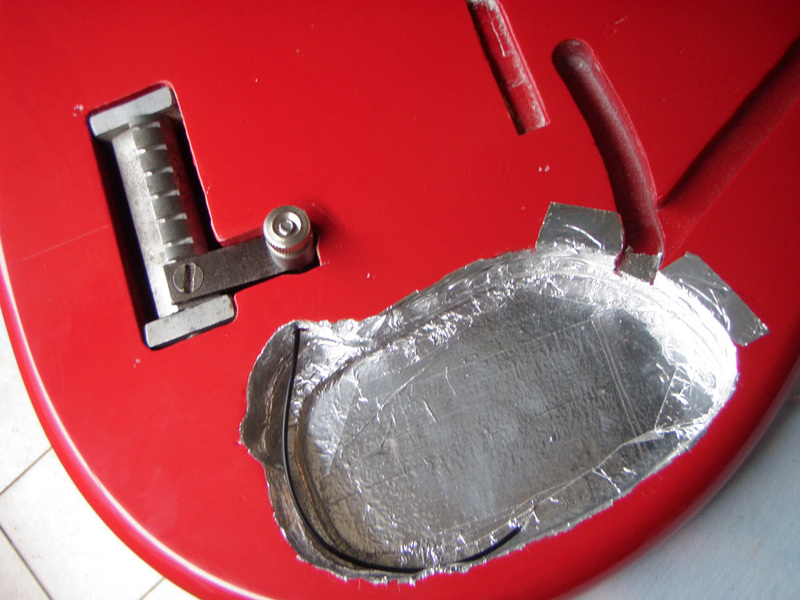 What a great blog, you've turned an old piece of junk (to some) into a lovely looking guitar. Congratulations! I was wondering how close your bridge and neck pickups can get to the strings. 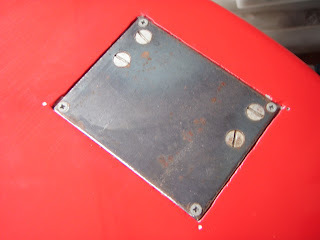 On my project , even with the pickups fully protruding , the pickups remain quite far from the strings. 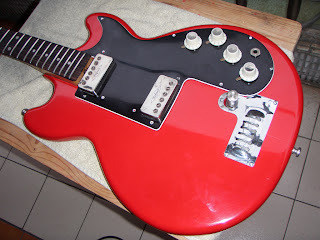 I am tempted to add a spacer of some type between the pickguard and body , to get reduce the gap. My Hofner also has a bit of a forward angle on the neck slot. This pitches the neck up aggravating the pickup spacing further. I will suggest flattening this angle to my client but was wondering if your guitar has a similar issue ? Hey Ed, thanks for posting. Assuming that your pickups are non-adjustable, yeah, that's a real limitation. My one has a bit of a gap for sure, although the pickups pick up the sound pretty well. Nevertheless, I would like to raise my bridge pickup a bit balance the pickups better. Given that that's not an option, here's what I see as the workaround. If both pickups are too low, then deepen the neck pocket route (and lower the bridge accordingly). If the neck pickup is OK, but the bridge pickup is too low, then either taper the neck pocket route or stick an angling shim in there to tilt the neck up (forwards), and then lower the bridge accordingly. Similarly, do the opposite if the bridge is higher than you would like (this is a less likely scenario). Does any of that make sense? Bit of a latecomer to the party, but I'd like to add my congratulations and respect for this project. Show me an old sax and I could restore it for you, but guitars are something else. In fact I can't really play; can just about strum a chord or two, but would struggle with anything you'd call a tune. However, couldn't resist the Colorama sitting in the window of a local charity shop yesterday; just looked so cool I had to have it. All but one volume pot is seized, but there's sound (of sorts) from one pick-up. Apart from crazing of the paint and lacquer though it seems in pretty good nick, not even any fret wear as far as I can tell. Possibly most noteworthy is the serial number: 1819, so a very near sibling of yours. Looking forward to fettling it into shape, and with your wisdom to guide me, it's not as daunting a prospect as it first appeared, so ... well ... thanks! Hey, that's great! I hope you can get it back into decent condition. I'd love to see photos of it (even as it is now). My email's stueycoolTAKE-THIS-PART-OUT@gmail.com if you're willing to let me see.